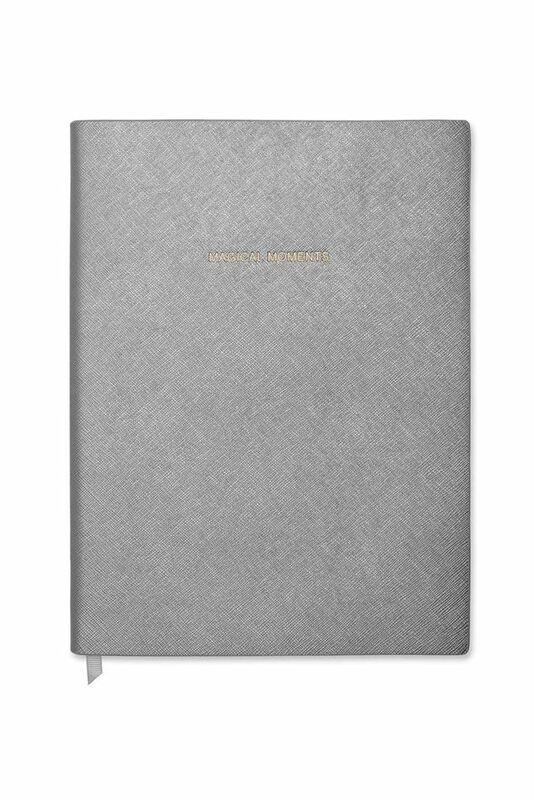 Metallic charcoal grey, this larger notebook. Introducing an exciting new addition to this seasons collection; notebooks! Finished in an on trend, metallic charcoal grey, this larger notebook is etched in gold to read 'magical moments'; inside contains soft lined paper and a grosgrain page marker, it is just perfect for capturing every magical moment!